The LA Times published an excellent op-ed that explains, in simple understandable language, the issues and reasoning behind the recent legal saga of Moore v Texas. A pdf copy is available here. Here is link to the latest blog post that can lead you through the past and recent decisions in this case. Interesting turn of events re: Moore v. Texas. ABA story here. The AG’s motion can be found here. The ABA amicus brief can be found here. 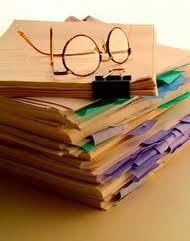 The trail of prior documents and decision can be found starting here. 11-20-18 UPDATE. I previously did not have a copy of the APA amicus brief. A copy is now available here. Another new Atkins related law review article available here. In Atkins v. Virginia (2002), the U.S. Supreme Court ruled that the execution of intellectually disabled inmates violates the cruel and unusual punishment clause of the Eighth Amendment. 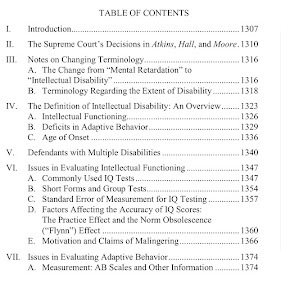 Twelve years later in Hall v. Florida (2014), the Court revisited its Atkins decision to provide further clarification on how states should assess intellectual disability. This article examines Moore v. Texas (2017), the latest development in the Court's rulings on capital determinations of intellectual disability. It also reviews state statutes and court cases from the thirty-one death penalty states to determine how they comport with the Court's Moore ruling. These statutes and cases shed light on issues with respect to intellectual disability in capital trials that the Court has yet to address. The article concludes with model language to help states make their capital punishment protocols constitutional, so that the intellectually disabled remain free from execution. 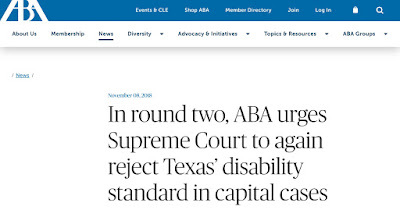 The Supreme Court's decision in Moore served as little more than a lackluster attempt to provide states with guidance in creating a standard for determining intellectual disability for the purposes of capital punish-ment. While the Court attempted to narrow the leniency it provided to states with its holdings in both Moore and Hall, it has likely done nothing more than cause confusion as states attempt to create legislation that ad-heres to the Court's mandates. The Court's refusal to provide states with a functional definition of intellectual disability in capital cases might seem merely frustrating at first glance, but it is also potentially unconstitu-tional-arguably violating both the Eighth Amendment and the equal pro-tection clause. What is more, as each state creates its own test for deter-mining intellectual disability, the states increase their risk of violating the Eighth Amendment's prohibition of cruel and unusual punishment. Thus, the Court should provide the states with a definition to avoid these pressing constitutional concerns. Two recent Atkins court decisions. As a reminder, when I first started this blog I would sometimes comment on psychometric issues in decisions. I believed it professionally responsible to stop this practice after I started to serve as an expert witness in Atkins cases. 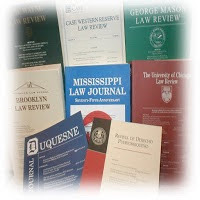 INTELLECTUAL DISABILITY IN CAPITAL CASES: ADJUSTING STATE STATUTES AFTER MOORE V. TEXAS. Source: Notre Dame Journal of Law, Ethics & Public Policy . 2018, Vol. 32 Issue 2, p527-562. 36p. Author(s): UPDEGROVE, ALEXANDER H.; VAUGHN, MICHAEL S.; DEL CARMEN, ROLANDO V.
Abstract: In Atkins v. Virginia (2002), the U.S. Supreme Court ruled that the execution of intellectually disabled inmates violates the cruel and unusual punishment clause of the Eighth Amendment. Twelve years later in Hall v. Florida (2014), the Court revisited its Atkins decision to provide fu rther clarification on how states should assess intellectual disability. 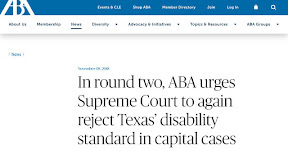 This article examines Moore v. Texas (2017), the latest development in the Court, 's rulings on capital determinations of intellectual disability. It also reviews state statutes and court cases from the thirty-one death penalty states to determine how they comport with the Court's Moore ruling. These statutes and cases shed light on issues with respect to intellectual disability in capital trials that the Court has yet to address. The article concludes with model language to help states make their capital punishment protocols constitutional, so that the intellectually disabled remain free from execution. I just received my two volume set of this excellent resource on psychometric testing. 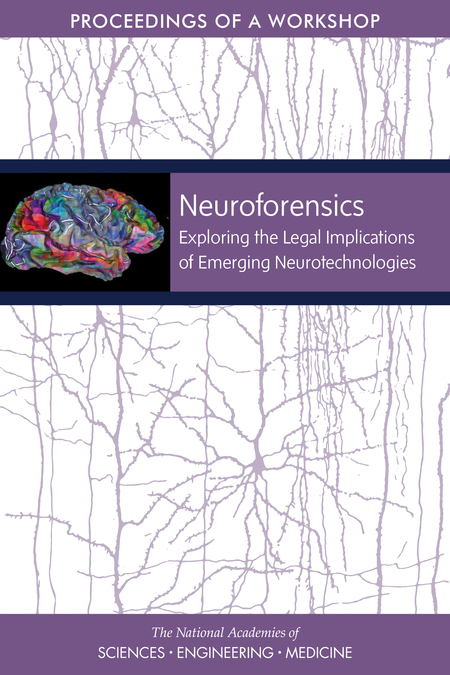 There are not many good books that cover such a broad array of psychometric measurement issues. This is not what I would call "easy reading." 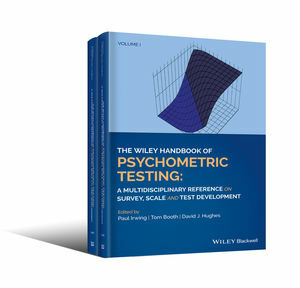 This is more like a "must have" resource book to have "at the ready" when seeking to understand contemporary psychometric test development issues. I'm a bit behind in posting information regarding recent Atkins-related court decisions. Despite SCOTUS recently vacating Moore v Texas based on Texas's Briseno standards not being consistent with prevailing medical and professional standards, Moore was still found to not be ID in the latest decision from Texas. The majority opinion can be found here. The dissenting opinion can be found here. 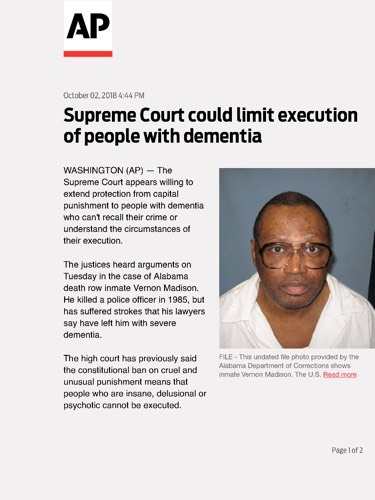 "Intellectual Disability, The Death Penalty, and Jurors"
In Atkins v. Virginia (2002), the United States Supreme Court held that intellectually disabled defendants cannot be sentenced to death; but since then, the Court has continued to grapple with how intellectual disability should be legally defined. Typically, however, it is jurors who determine whether a defendant is intellectually disabled and therefore categorically ineligible for the death penalty. Very little is known empirically about how jurors reason about and make these decisions. This Article presents the results of a novel experiment in which venire jurors participated in an intellectual disability hearing and a capital sentencing hearing. 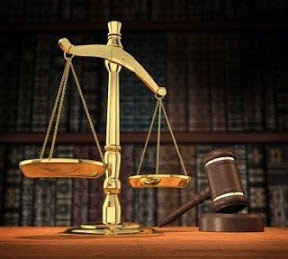 The diagnosis of a court-appointed expert was experimentally manipulated (defendant is or is not intellectually disabled), as was the provision of information about the crime (present or absent). Jurors were considerably more likely to find the defendant not disabled when the expert opined that the defendant was not disabled. They were also more likely to find the defendant not disabled when they learned about the details of the crime. Similarly, jurors were more likely to sentence the defendant to death after learning about the details of the crime, which increased perceptions of both the defendant's blameworthiness and his mental ability. These findings highlight the reality that jurors' assessments of intellectual disability are influenced by crime information, contrary to pronouncements made by the United States Supreme Court, and they support the use of bifurcated disability proceedings, as some states have recently adopted. The repeated administration of working memory capacity tests is common in clinical and research settings. For cognitive ability tests and different neuropsychological tests, meta-analyses have shown that they are prone to retest effects, which have to be accounted for when interpreting retest scores. Using a multilevel approach, this meta-analysis aims at showing the reproducibility of retest effects in working memory capacity tests for up to seven test administrations, and examines the impact of the length of the test-retest interval, test modality, equivalence of test forms and participant age on the size of retest effects. Furthermore, it is assessed whether the size of retest effects depends on the test paradigm. An extensive literature search revealed 234 effect sizes from 95 samples and 68 studies, in which healthy participants between 12 and 70 years repeatedly performed a working memory capacity test. Results yield a weighted average of g = 0.28 for retest effects from the first to the second test administration, and a significant increase in effect sizes was observed up to the fourth test administration. The length of the test-retest interval and publication year were found to moderate the size of retest effects. Retest effects differed between the paradigms of working memory capacity tests. These findings call for the development and use of appropriate experimental or statistical methods to address retest effects in working memory capacity tests. Human resource practitioners place value on selecting and training a more emotionally in-telligent workforce. Despite this, research has yet to systematically investigate whether emo-tional intelligence can in fact be trained. This study addresses this question by conducting a meta-analysis to assess the effect of training on emotional intelligence, and whether effects are mod-erated by substantive and methodological moderators. We identified a total of 58 published and unpublished studies that included an emotional intelligence training program using either a pre-post or treatment-control design. We calculated Cohen's d to estimate the effect of formal training on emotional intelligence scores. The results showed a moderate positive effect for training, regardless of design. Effect sizes were larger for published studies than dissertations. Effect sizes were relatively robust over gender of participants, and type of EI measure (ability v. mix-edmodel). Further, our effect sizes are in line with other meta-analytic studies of competency-based training programs. Implications for practice and future research on EI training are discussed. See prior Gei posts here and here. Evidence of a Flynn Effect in Children's Human Figure Drawings (1902-1968). Intelligence tests and adaptive behavior scales measure vital aspects of the multidimensional nature of human functioning. Assessment of each is a required component in the diagnosis or identification of intellectual disability, and both are frequently used conjointly in the assessment and identification of other developmental disabilities. The present study investigated the population correlation between intelligence and adaptive behavior using psychometric meta-analysis. The main analysis included 148 samples with 16,468 participants overall. Following correction for sampling error, measurement error, and range departure, analysis resulted in an estimated population correlation of ρ = .51. Moderator analyses indicated that the relation between intelligence and adaptive behavior tended to decrease as IQ increased, was strongest for very young children, and varied by disability type, adaptive measure respondent, and IQ measure used. Additionally, curvilinear regression analysis of adaptive behavior composite scores onto full scale IQ scores from datasets used to report the correlation between the Wechsler Intelligence Scales for Children- Fifth edition and Vineland-II scores in the WISC-V manuals indicated a curvilinear relation—adaptive behavior scores had little relation with IQ scores below 50 (WISC-V scores do not go below 45), from which there was positive relation up until an IQ of approximately 100, at which point and beyond the relation flattened out. Practical implications of varying correlation magnitudes between intelligence and adaptive behavior are discussed (viz., how the size of the correlation affects eligibility rates for intellectual disability). McGrew (2012) augmented Harrison's data-set and conducted an informal analysis including a total of 60 correlations, describing the distributional characteristics observed in the literature regarding the relation. He concluded that a reasonable estimate of the correlation is approximately .50, but made no attempt to explore factors potentially influencing the strength of the relation. Results from the present study corroborate the conclusions of Harrison (1987) and McGrew (2012) that the IQ/adaptive behavior relation is moderate, indicating distinct yet related constructs. The results showed indeed that the correlation is likely to be stronger at lower IQ levels—a trend that spans the entire ID range, not just the severe range. The estimated true mean population is .51, and study artifacts such as sampling error, measurement error, and range departure resulted in somewhat attenuated findings in individual studies (a difference of about .05 between observed and estimated true correlations overall). The present study found the estimated true population mean correlation to be .51, meaning that adaptive behavior and intelligence share 26% common variance. In practical terms, this magnitude of relation suggests that an individual's IQ score and adaptive behavior composite score will not always be commensurate and will frequently diverge, and not by a trivial amount. Using the formula Ŷ = Ȳ + ρ (X - X ̅ ), where Ŷ is the predicted adaptive behavior composite score, Ȳ is the mean adaptive behavior score in the population, ρ is the correlation between adaptive behavior and intelligence, X is the observed IQ score for an individual, and X ̅ is the mean IQ score, and accounting for regression to the mean, the predicted adaptive behavior composite score corresponding to an IQ score of 70, given a correlation of .51, would be 85 —a score that is a full standard deviation above an adaptive behavior composite score of 70, the cut score recommended by some entities to meet ID eligibility requirements. With a correlation of .51, and accounting for regression to the mean, an IQ score of 41 would be needed in order to have a predicted adaptive behavior composite score of 70. Considering that approximately 85% of individuals with ID have reported IQ scores between 55 and 70±5 (Heflinger et al., 1987; Reschly, 1981), the eligibility implications, especially for those with less severe intellectual impairment, are alarming. In fact, derived from calculations by Lohman and Korb (2006), only 17% of individuals obtaining an IQ score of 70 or below would be expected to also obtain an adaptive behavior composite score of 70 or below when the correlation between the two is .50. 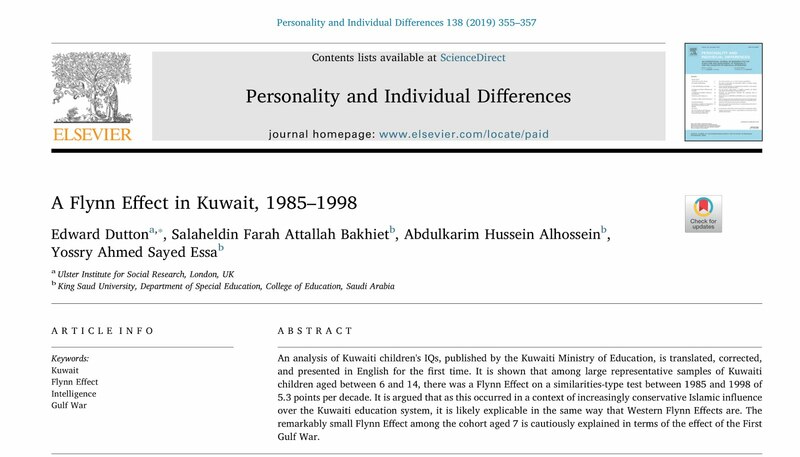 The purpose of this study was to investigate the relation between IQ and adaptive behavior and variables moderating the relation using psychometric meta-analysis. The findings contributed in several ways to the current literature with regard to IQ and adaptive behavior. First, the estimated true mean population correlation between intelligence and adaptive behavior following correction for sampling error, measurement error, and range departure is moderate, indicating that intelligence and adaptive behavior are distinct, yet related, constructs. Second, IQ level has a moderating effect on the relation between IQ and adaptive behavior. The correlation is likely to be stronger at lower IQ levels, and weaker as IQ increases. Third, while not linear, age has an effect on the IQ/adaptive behavior relation. The population correlation is highest for very young children, and lowest for children between the ages of five and 12. Fourth, the magnitude of IQ/adaptive behavior correlations varies by disability type. The correlation is weakest for those without disability, and strongest for very young children with developmental delays. IQ/adaptive behavior correlations for those with ID are comparable to those with autism when not matched on IQ level. Fifth, the IQ/adaptive correlation when parents/caregivers serve as adaptive behavior respondents is comparable to when teachers act as respondents, but direct assessment of adaptive behavior results in a stronger correlation. Sixth, an individual's race does not significantly alter the correlation between IQ and adaptive behavior, but future research should evaluate the influence of race of the rater on adaptive behavior ratings. Seventh, the correlation between IQ and adaptive behavior varies depending on IQ measure used—the population correlation when Stanford-Binet scales are employed is significantly higher than when Wechsler scales are employed. And eighth, the correlation between IQ and adaptive behavior is not significantly different between adaptive behavior composite scores obtained from the Vineland, SIB, and ABAS families of adaptive behavior measures, which are among those that have been deemed appropriate for disability identification. Limitations of this study notwithstanding, it is the first to employ meta-analysis procedures and techniques to examine the correlation between intelligence and adaptive behavior and how moderators alter this relation. The results of this study provide information that can help guide practitioners, researchers, and policy makers with regard to the diagnosis or identification of intellectual and developmental disabilities. Advances in brain scanning and intervention technologies are transforming our ability to observe, explain, and influence human thought and behaviour. 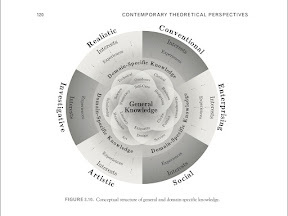 Potential applications of such technologies (e.g. brain-based pain detection in civil lawsuits, medications to help criminal offenders become less impulsive, prediction of future behaviour through neuroimaging) and their ethical, clinical, legal, and societal implications, fuel important debates in neuroethics. However, many factors beyond the brain – factors targeted by different emerging technologies – also influence human thought and behaviour. Sequencing the human genome and gene-editing technologies like CRISPR Cas-9 offer novel ways to explain and influence human thought and behaviour. Analysis of data about our offline and online lives (e.g. from fitness trackers, how we interact with our smartphone apps, and our social media posts and profiles) also provide striking insights into our psychology. Such intimate information can be used to predict and influence our behaviour, including through bespoke advertising for goods and services that more effectively exploits our psychology and political campaigns that sway election results. Although such methods often border on manipulation, they are both difficult to detect and potentially impossible to resist. The use of such information to guide the design of online environments, artifacts, and smart cities lies at the less nefarious – and potentially even socially useful and morally praiseworthy – end of the spectrum vis à vis the potential applications of such emerging "moral technologies". Abstracts of 300 words should be emailed to Cynthia Forlini <cynthia.forlini@sydney.edu.au> in Microsoft Word format by Thursday, 31 May 2018. Submissions will be peer reviewed, and authors of successful submissions will be notified via email by Friday, 15 June 2018. Neuroscience & Society is supported by the ARC Centre of Excellence for Integrative Brain Function Neuroethics Program, and the Centre for Agency Values and Ethics at Macquarie University. This study examined the stability of the latent construct of intelligence from infancy through adolescence, using latent variable modeling to account for measurement error. Based on the Fullerton Longitudinal Study data, the present study modeled general intelligence across four developmental periods from infancy through adolescence. The Fullerton Longitudinal Study included twelve assessments of intellectual performance over a sixteen-year interval. 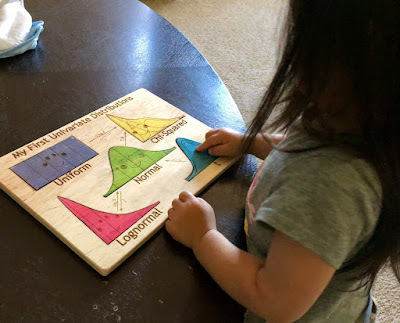 Three assessments of intellectual performance at each of four developmental periods served as in-dicators of latent intelligence during infancy (1, 1.5, and 2 years old), preschool (2.5, 3, and 3.5 years old), childhood (6, 7, and 8 years old), and adolescence (12, 15, and 17 years old). Intelligence exhibited a high degree of stability across the four developmental periods. For instance, infant intelligence revealed a strong cross-time correlation with preschool intelligence (r = 0.91) and moderate correlations with childhood and adolescent intelligence (r = 0.69 and 0.57, respectively). Intelligence followed a stage-autoregressive pattern whereby correlations between IQ scores decreased as the timespan between assessment waves increased. Further, from infancy to adolescence, the effect of intelligence during earlier periods was completely mediated by intelligence during the adjacent developmental period. In contrast to much prior research, this study demonstrated the stability of general intelligence, beginning in infancy.